Whether its a gift for your partner, or your loving mum, they'll be sure to feel loved this Christmas. 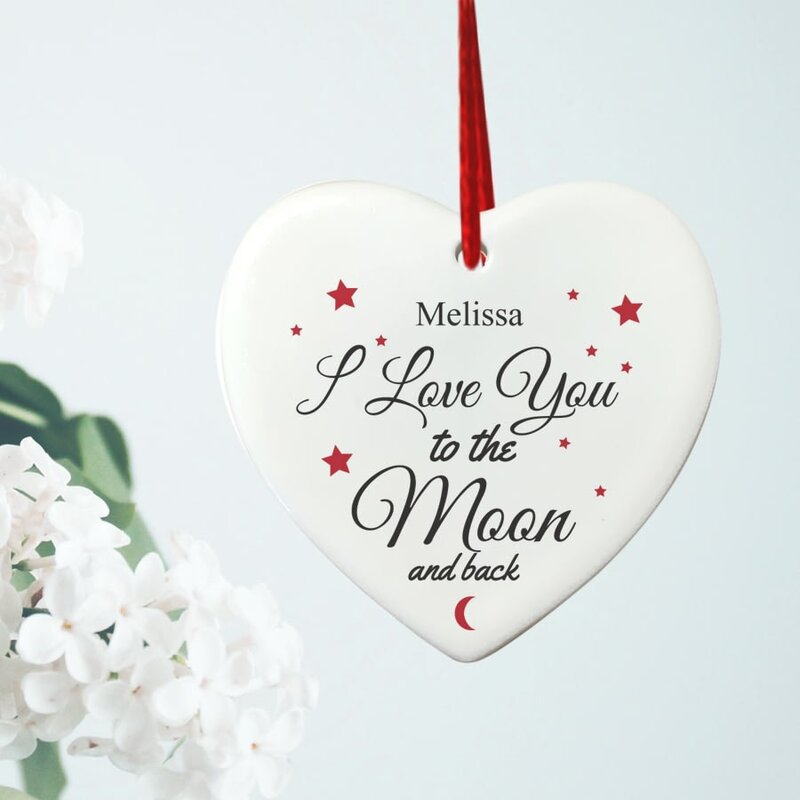 With your message adorned on the back of the ceramic, your message will be treasured every Christmas from now on - after all Christmas is a loving time! 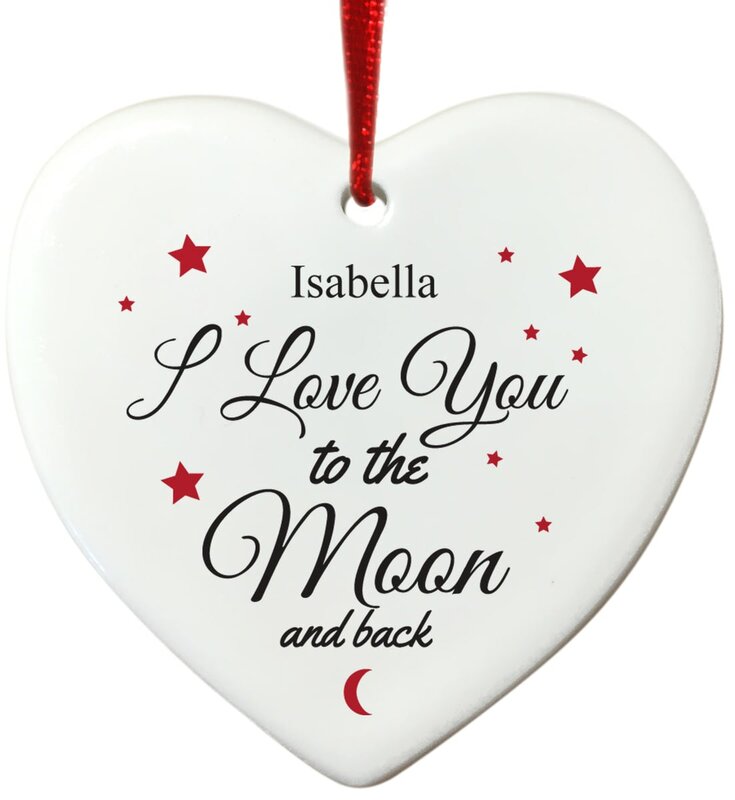 A flat ceramic bauble finished with a festive red ribbon, ready to hang on the tree.